When my sister died suddenly, Mike Neff was there for us throughout the entire process. I live in another state and could not travel to Indianapolis but I didn’t have to worry because Mike and his staff handled everything for us. I can’t say enough positive things about the kind and compassionate service we received. I don’t know what we would have done without Mike’s guidance and support as we dealt with my sister’s passing and the arrangements we had to make to take care of all the details a death entails. Thank you, Mike, for being there for us! Mike Neff, from the Indianapolis, IN office, made this very difficult time easier. He was so patient, compassionate and very helpful. Highly recommend Neptune Society to everyone with their cremation and/or burial needs!!! I would like to thank Mike Neff and his staff. It has been a very hard year for my family and I. As we lost both our parents within 11 months time. They took care of everything that we needed in a timely manner. So thank you again, guys. There are not enough words to express my thanks for the kindness and the sincere sincerity that Mike Neff showed to me. He took his time with me. He explained everything perfectly to me. He was above efficient. At a time when I couldn’t even think clearly, he continued to contact me and make sure I was fine and everything was going smoothly. I can’t say enough good about Michael Neff and the Neptune Society. He walked me through the entire process and kept in contact every step of the way. He went above and beyond making arrangements for my husband’s remains to be buried in Florida at the national cemetery where he had requested his ashes go. His voice was always respectful and willing to help in any way. This was my first experience with the Neptune Society and I have to say I would recommend them to everyone. When my time comes I know I will be handled with the same care and respect. My husband died in the hospital and the hospital notified Neptune Society right away. Then, I had a call from them with their condolences. Also, they were available for me at any time like within the few hours. The prompt service was very good. And I like the prepaying. I was nervous about it if I prepaid and we weren’t around to dispute it if there was a problem. But I was around after my husband passed away and the service was fine. My anxiety level was down. I needed to update my contact/next of kin info, called and spoke with Ayanna. The typical protocol is to snail-mail a form to complete and return. But, because of my more urgent need, Ayanna offered to PDF the form, and I returned it electronically this morning. She was nice and made the process so easy. Thanks, Ayanna!! My father passed away on a weekend and we found the documentation that my father had been working and buying prepaid cremation services through Neptune. I got a weekend person who was out in St. Louis or Kansas City. Her name was Julie and she started everything to help me. And then Mike, the one in charge of Indianapolis did the rest of it. All my questions were answered and they took care of anything and everything. It was a pleasant experience. If you wanna be cremated, go Neptune. They did a good job. Mike Neff and everyone I dealt with at Neptune Society made an incredibly difficult time run very smoothly and were always there to help when anything came up. Even the after-hours/weekend staff went above and beyond to make sure all went well and answered all of my questions. Highly recommend their services, very knowledgeable and very comforting. Thank you, Michael Neff, for your courtesy and assistance in the cremation process for my husband. I am pleased with how you kept me informed and offered guidance in helping me with making decisions during this difficult time. It is comforting and peaceful to know Keith was in good hands and well taken care of. Thank you, Mr. Neff! When we made our arrangements with Neptune several years ago, we knew that our satisfaction would only be realized once one of us passed away. I have no regrets. Neptune was professional and considerate after my husband passed and my family was glad we had chosen this as we grieved the loss of husband, father, and grandfather. Mike Neff and others from Neptune made everything so smooth. They went above and beyond to make sure everything was handled with such love like they were part of the family. Thank you so much for everything. I recently had the misfortune of losing my sister after a long battle with health issues. 6 years ago We contacted the Neptune Society for information, My sister asked a lot of questions and was extremely satisfied with the response to what arrangements she wanted upon her passing. 6 years later my sister succumbed to her health issues and I contacted Neptune to complete the arrangements my sister requested. My main contact at the Neptune Society was Michael who had my sisters file and was ready to enact all of the items my sister had requested. My experience was a positive one as Michael worked through the items and kept me informed as the process progressed. I was able to grieve and not be concerned about the logistics that are part of the process. Our family received the services of the Neptune Society out of the Indianapolis office, and with Michael Neff. Michael was right there with us, from the very beginning, along with each step, and to the completion of their services to us. He was simply exceptional, kind, caring, and very professional while at the same time working behind the scenes to take care of our loved one. We knew that, and even though the path with Neptune was different than a traditional path after a loss, we had the peace of mind that is so vital to all of us they are faced with the process of loss and grief. Thank you so much to Mike and Neptune. My family was very pleased with the service, and in fact, other family members have decided to utilize Neptune for their own future plans and needs. My parents’ prepaid arrangements with the Neptune Society and in doing so relieved my sister and me of the burden of making decisions at a time that is stressful, to say the least. Mike Neff of the Indianapolis office was most kind and helpful every step of the way. He took care of the details which allowed us to concentrate on each other and our mother. We are very grateful for the Neptune Society and the way they have taken care of us. We were very pleased with the service we received and the response time from our contact, Mike Neff at Neptune. We prearranged our mother’s cremation service in 2012 and Neptune exceeded our expectations this year when she passed away. The staff at Neptune was so compassionate and helpful. When my sister passed they handle all of the details, including submitting the obituary. They made everything so easy during this difficult. Mike Ness was my contact person when my mother passed and he was such a great help. During my difficult time, he made everything easier. My Dad, Harry Scheid, recently passed away and although he had taken care of a lot of his funeral planning, there was still quite a bit to do. Mike Neff with the Neptune Society was a Godsend. He was always right there to answer any questions, to guide the way and most importantly was a HUGE assistance at the funeral itself. Never easy to go through this, but the assistance is truly appreciated. I can’t say enough about how well the handling of my mother’s cremation went and Michael Neff bent over backward to accommodate us and returning her Back Home! We really appreciated all he did for us. Joining Neptune Society in April 2015 came to fruition when my husband James passed away January 2, 2018. Michael Neff handled his death professionally and was patient and helpful ending matters quickly. Thank you, Michael! I want to thank Mike Neff from Neptune society for his professional and prompt help with helping me with my husbands cremation final remains without his help I could have never made it thru also the young man who did the cremation and any others who helped with getting it done god bless you all especially you Mr. Neff again thank you all from deep in my heart. Dealing with death is never easy and add that I am in Illinois making things just a bit more challenging. However, Neptune Society did such an excellent job with my husband’s cremation. I found Michael Neff to be extremely kind, helpful and very professional. I would highly recommend Neptune Society and the services of Michael Neff at the Indianapolis location. I was so impressed with Jason here at Neptune. Our cremation was more difficult than most as it included 2 states and a contractor pick up. (Our contract was purchased in Illinois and then we moved Dad to Indiana.) Jason ran all the traps and was able to have the Downers Grove branch accept Dad’s ashes. It all went smoothly. 5 years ago, we used the Palatine, IL branch and they were very kind and professional. I can’t say enough about the personal. Thank you so much. My husband passed away on November 4th at The Veterans Home in Lafayette. We planned ahead a few years ago on what we wanted and decided on cremation and started the pre-paid cremation plan for both of us. It was such a relief to have it in place when his death occurred. One phone call and everything was taken care of, no second guessing if this was the right thing to do since we already discussed it before his health deteriorated. Jason Costin at the Indianapolis location was wonderful at keeping in touch with me every step of the way. He explained the paperwork I needed to complete and how long the process of cremation, ashes and death certificate would take. With all the other stresses at this time, I was so grateful we pre-planned and I now have peace of mind knowing my children will not have to worry about it when it’s my time. At our time of loss, sorrow and grief with no knowledge of what or how to manage and settle any arrangement for the death of my wife’s’ brother, Jason Costin led us through each step. Jasons’ assistance, cooperation, and guidance have been greatly appreciated. We continue to be thankful for our deceased brother to have selected Neptune Society and the continued support offered by Jason Costin. My dad was a veteran and his friend in the Armed Services recommended Neptune Society. Their rep, Russ, came to the house and talked with my parents. Neptune Society was a veteran thing that’s why my dad liked it. After my dad passed, the hospital called Neptune Society. I called the rep later because we wanted to know what the next steps were and he was extremely nice. We ended up going down and meeting with him and he was very relaxed and comfortable. I also like the whole program. It would be something I would look into for myself and my husband. Jason Costin and the Neptune Society of Indianapolis are wonderful. My father passed away in August and I was very unaware of how to handle the arrangements. Because arrangements had already been made with Neptune Society, the process of preparing for his cremation and funeral was easy. Jason is very personable, efficient, and a class act. I would highly recommend Jason and the Neptune Society of Indianapolis to any one. Just want to thank the Neptune Society for their sincere and compassionate service on my Grandma. Jason came to the house and went over all the paperwork and details when we had no clue on the steps that were involved. He checked in every other day to keep us in the loop as on what was going on and when the cremation was done. When the ashes were ready to pick up, we brought in her urn and Mr. Costin asked if we would like to witness taking the ashes out of the plastic container and placing them in our cherry urn. We thought that was warm and served as closure for us since we didn’t do a traditional service. Thanks so much again and will recommend all to the Neptune Society. I want to thank Jason Costin for being the best at what he does. My husband passed away on a Friday and throughout the weekend Jason stayed in constant contact with me. I felt comfortable leaving things in his hands. He never pushed me about which package I should take or rushed me through the process. Jason Costin was absolutely amazing!! I took advantage of Neptune Society’s pre-planning services. They were very helpful and compassionate. They were also empathetic and they explained the pricing. It all worked out very well and my experience was satisfactory. My mother died on June 6, 2017. The two caretakers who came to my parents home to pick my mother up were soft spoken, did not intrude, explained everything and took great care of her. Jason was in constant contact and answered all our questions during the crematory process. When Jason brought my mother’s ashes to my home he also was soft spoken and so caring of my feelings. My father has his funeral planned through Neptune and I have absolutely no doubt my siblings and I will have the same experience. Jason Costin helped us after my father’s death. He was consistently thoughtful and prompt, making the process as trouble-free as possible. My wife and I will remember his caring assistance during this difficult time. Our parents decided to be cremated even though they had already purchased their grave sites. The planning ahead made much of the process easier to handle. My brother called when our mother died 4 years ago and my sister recently called Jason for my dad. We were not aware of all the details involved in preparing for a funeral and Jason was very helpful. Our dad was a veteran and Jason made the arrangements for him to be honored at his funeral. He was also very helpful with the Order of Interment program and the small details that personalize the moment. We really appreciate the help and guidance we received. Thanks Jason. My mother recently entered hospice and I did not have a plan in place for cremation services. My wife shared that Neptune Society helped when her father passed, so I reached out to them. I had a brief discussion with them and planned to come back another time. Very soon after the visit, my mother passed and I needed to act quickly. The moment I called back to Neptune Society and began to work with Jason Costin, I was given amazingly quick, perfect and professional service. Jason was so professional and prompt, it seemed like we had a relationship and plan already in place. He was incredibly patient and kind–especially at a moment of great loss. He made the entire process so simple and seamless. There were no hidden charges, complicated issues, or added work and responsibility on my part. Jason took care of everything and made it so much less taxing and burdensome. I was able to give my full attention to my family, which was crucial. I wholeheartedly recommend the caring and kind professionals at Neptune Society. They are truly a trusted and caring partner during the most difficult times. This past May my mother passed unexpectedly. My mother did have a plans in place but due to the nature of her passing my sister and I were unable to move forward with her plans. This essentially left the full burden of our mom’s burial/cremation costs. We did not know where to begin. Our aunt recommended Neptune Society because she knew that we could not handle this on our own. So we contacted the local Neptune Society and that was the best thing we could have done for our mom. Jason contacted us that afternoon even though the office was closed. Neither my sister nor myself live in Indiana and would have made it much harder for the both of us to handle mom’s affairs. Jason who works out of the Indianapolis office was truly a gem to have in our corner. He handled all of the leg work for us. I mean everything! He made himself available all hours of the day, answered all of our questions and just allowed us to grieve without feeling pressured. The Society handled everything from A to Z and then some. Before we left Indiana my sister and I were confident that we made the right choice and we knew that our mom was in good hands. We were able to focus on what mattered and that was our families and friends. The cost was truly minimal compared to what it would have been if we would have done this on our own. At no given time did we feel pressured into making any decisions. Once he received the completed paperwork he went into action. He was truly amazing! In all honesty I know I could not have done it without having them in our corner. I want to say thank you to Jason and his staff for making a very hard time in our lives much more bearable to handle. It takes special people to be in this field and I know that we got the gem of all gems. This whole experience has made me think about looking into my own plan. It is not something that people don’t like to think about, but it is a part of life. Thank God we do organizations out there like Neptune Society that cares about the family first rather than being a price tag. Thank you Jason for everything! You are a very caring and compassionate man and made a truly difficult time in our lives much easier to bear. My Mom passed unexpectedly a few weeks ago. We had always discussed her wishes being that her body would be donated to science for organ research and then cremated. Once she passed I began making calls to coordinate the procedure. It became apparent that the science community would not due to health complications accept my Mothers remains. With this all in mind I contacted Jason at the Neptune Society of Indianapolis to solicit their support. This was all new to me I have never had a loved one pass and for it to be my mother was beyond words or comprehension. Jason’s support and coordination was beyond exemplary. He guided and advised our family on all the next steps. My mother passed in Indiana however all her close friends and family were all in Ohio..Jason helped us with coordinating out of state arrangements, as well supporting us with all the small details. My sister and I could not have asked for more. He blessed our family with the the comfort , kindness and consideration that we needed during this sad and sorrow filled time. My mothers celebration was a beautiful day full of Joy, friends and family and we know in our hearts it would not have happened with such grace and beauty if it were not for the help and guidance Jason and the Neptune Society provided our family. My family and I really appreciate how The Neptune Society of Indianapolis went above and beyond to make this most difficult time easier for us, upon my father’s unexpected passing last month. Jason and his team are incredibly conscientious, and exceeded our expectations with both their consistently quick communication and their thoughtfulness. They are most professional and genuinely kind. Jason and his team go out of their way to be proactive and to lead families through this heartbreaking process of losing a loved one while fulfilling the wishes of those who have passed. The Neptune Society sets a high standard of care, which is especially appreciated during this most difficult time. Our Parents had purchased the services of this wonderful organization about 2 years ago and when our mother fell ill and passed away recently, one call to Neptune was all it took and they were there for us. Jason was so responsive to the needs of our Family quickly and professionally. Jason was there to bring our mom back home to us after the cremation. He provided us the proper care and handling of the ashes. Our Dad said that it was perfect! and that Jason and Neptune provided profession services exactly per the terms of the contract. My experience with Neptune of Indianapolis has been wonderful. When I purchased the package a year ago, Michael made it sound so easy and stress free for me. “Just call us when it’s time.” That is what I did and they took over from there. Jason, the funeral director made a difficult time in my life go so smoothly. 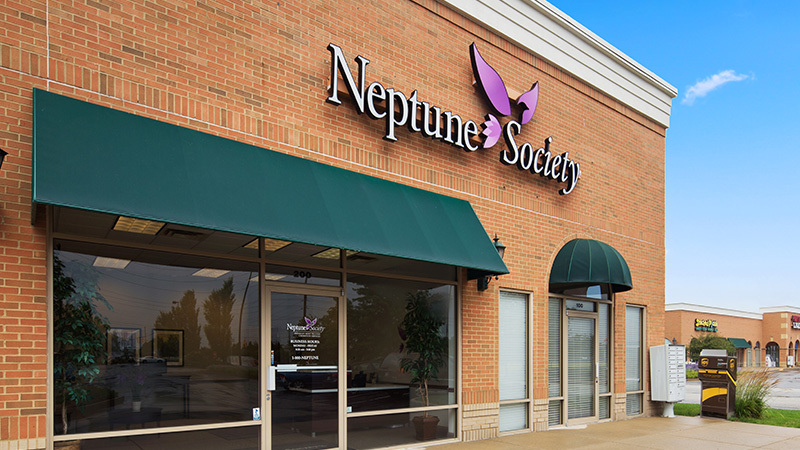 Our family is very pleased with the Neptune Society of Indianapolis and would highly recommend their services. Jason Costin, the location manager, went above and beyond to help our family during our time of grief. From the first time we spoke on the phone, until the cremains were delivered, Jason was extremely helpful and caring. He communicated consistently in a considerate and compassionate manner. He helped us through the process with no added stress or worries. This is the second time we have called upon Neptune Society for their services and would highly recommend. Thank you Jason, for a smooth and stress free transition for my family moving through our grieving process! Neptune Society of Indianapolis, and Funeral Director Mr. Costin is highly recommended by our family! Everything was taken care of when our Grandmother passed. He took care of everything, leaving our family with no undo stress. He even gave us his personal cell phone number telling us he was available 24/7 with any questions we might have. How much that means to a grieving family! No words can explain. We would highly recommend Neptune Society in a family’s time of need. Thank you again. A big thank you to Jason for helping to organize our father’s cremation and service with short notice. We appreciated the assistance in coordinating the 21 gun salute and making sure we didn’t miss any details. Much more than I expected. The Indianapolis office of the Neptune Society, and in particular Jason Costin, did an incredible job in handling my Mother’s cremation. My Mother actually paid for this service back in 1986 and passed away in 2017. Their service was outstanding and very professional. I would definitely recommend their services. Shame on me for worrying about whether or not the Neptune Society would be there for our family when we first signed up for cremation services a couple years ago. In these days of scams, it is increasingly difficult to trust a business to do what it says it will do. This is especially the case when there is only one opportunity to do things properly when a loved one passes. When my mother died recently as I held her hand, I walked out of her room wondering “now what do I do?”; “will I have to fight to get people to do what I thought I had arranged?”; “will I have to micro-manage ‘after death’ details when I can hardly grasp the loss of my mom”? I am told that I am a bit of a perfectionist and difficult to please, so I was expecting the worst, BUT I was completely satisfied with the Neptune Society and Jason in particular. There was never any pressure to buy a particular package of services when we first signed on, nor were we made to feel inadequate when we needed to work within a tight budget. Communication was very appropriate and timely. Everything we thought we had purchased was delivered with compassion and professionalism. My fears of being taken advantage of were totally misplaced. Our family is just so grateful to Jason for helping us through this early stage of our grief, and for the Neptune Society for allowing us to have the option of a very personal end-of-life experience with our dear mother. Thank you so much! Jason Costin was a joy to work with. He was helpful and answered all of my questions. Saved me a lot of worries. I can’t thank him enough. The Neptune society did myself and family a wonderful service taking care of all the arrangements with the death of my Mother in January 2017. Jason was very helpful, courteous, and professional. I would easily recommend The Neptune Society to any family in need of their services. Dear Jason, thanks a million for all your help and sincere compassion. You have made a very difficult time bearable. Jason, I wanted to let you know that I finally got around to taking the J.D. Powers survey. You and your staff all rated a 10 on every aspect of service. Thank you all for making a difficult situation feel less so. I will have to tell you that the person that handled my mother’s case when she passed away, was the most wonderful, kind, and caring person. I had no idea that going through Neptune was going to be so easy. Jason Costin was there every step of the way and I am so grateful that it was him that handled all of this, there is so much that they do which saves the family a lot of time and heartache. Without him, this would have not even been possible. Really Jason was there for me more than my own family was and that is saying a lot. My father passed away right before the new year. Jason Costin was our Neptune representative. He was so helpful to our family and made a very overwhelming situation easier to bear. Anything and everything we asked about was taken care of. He went above and beyond! Thank you so much Jason. I am so grateful to Jason Costin for his exceptional service at the time of my husband’s death. Jason was kind and compassionate. He quickly answered calls and emails, providing assistance with every detail. His ready answers to my questions gave me comfort and helped to simplify the painful process of losing a loved one. Neptune Society, thank you for the wonderful care provided upon the passing of Susan this past October. We appreciate your quick response and the timely manner initiated for our loved one. Jason was a great help as we began the paperwork and the process of publishing obituaries. We could not have asked for a better experience. I would like to thank Jason Costin for the outstanding support that was provided to our family. My mother, Norma, purchased her cremation package 20+yrs ago in Florida, prior to computer databases. Jason was able to locate all documentation within 24hrs of our call. He not only provided clear direction and compassion but was highly informative on Veteran benefits due to our mother. My sister, Karen, and I were so pleased and impressed with Jason’s support, that we have decided to purchase our own Neptune Society Cremation package. We feel that we lucked out by choosing the Neptune Society and working with Jason. We had to manage the treatment of our loved one’s remains from out-of-state, and he was excellent at communicating with us and informing us of the measures that needed to be taken. Jason’s customer service is top-notch and he is the perfect mix of kind and efficient. My family and I would like to thank Jason for the wonderful, compassionate service he gave to us when our mother passed away recently. He made everything so easy during a difficult time. I would like to send my deepest Thank you to Jason Costin with the Indiana Neptune Society. Jason went over and beyond our expectations in our time of grief. He always was available, drove 2 hours to deliver our loved one, and even called before arriving to see if we needed anything! He told us he would take care of everything and he did! What a wonderful asset to Neptune Society. Thank you for your compassion and we would highly recommend Indiana Neptune Society! I wish to thank Jason Costin and the Indianapolis Neptune Society for the wonderful, compassionate care that was provided to me on June 1, 2016 when my dear father died. Both my father and myself were treated with the utmost respect. Jason was always available by phone and e-mail and quickly helped me to handle the necessary paperwork. I can recommend the Indianapolis Neptune Society without reservation. The death of a loved one is very emotional and having a competent, caring person to guide you through the process is invaluable. 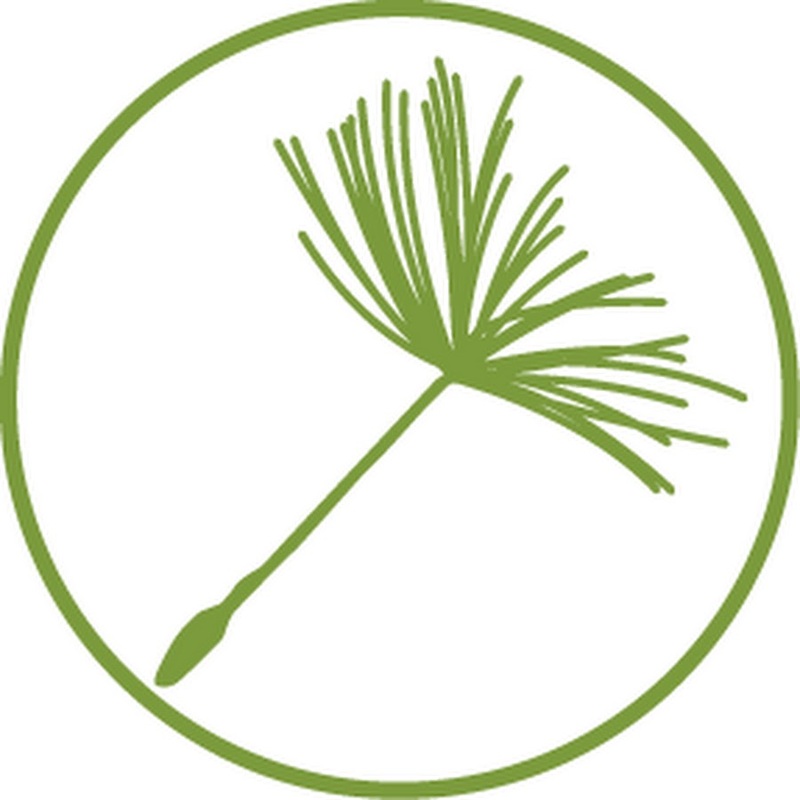 Click for a list of items and services that may be included in an Indiana funeral service. Located in Fort Wayne, Indiana and formed in the 1930s, Ouabache State Park’s nature views and Wabash River offer a beautiful place to hold a scattering. This stunning 3-acre garden next to the Indianapolis Zoo lets you escape the city and retreat into a lush oasis. Whether by some of the lovely flowers and plants or in the Hilbert Conservatory, this could be a very memorable place to scatter your loved ones ashes. Be sure to contact them before arriving. This organization offers personalized scattering over a location of your choosing, and can provide any type of ceremony desired. Once your loved one has been cremated, Egress will handle scheduling the plan and gaining clearance from aviation authorities. Indiana law allows you to scatter ashes over uninhabited public land with permission/a permit, over a public waterway or sea, or on private property of a consenting owner. If scattering at sea you must be at least 3 nautical miles from land, notify the EPA within 30 days of scattering, and avoid beaches and wading pools. You must obtain a permit to scatter on federal land. You can also scatter the ashes, but NOT the container, from the air as the government doesn’t consider cremains to be hazardous material. If the container isn’t biodegradable you must remove the ashes from the container before scattering. A form documenting the disposition of ashes must be filled with the county recorder within 10 days of placement or scattering. What veterans benefits are available in Indiana? What is the average cost of cremation in Indiana? According to US Funerals online, a cremation and memorial service in Indiana costs between $1,500 and $4,000 while a direct cremation averages between $800 and $2,500. How many funeral homes are in Indiana? There are 650 funeral homes in 353 cities of Indiana. Bonus fact 1: The first professional baseball game was played in Fort Wayne on May 4th, 1871. Bonus fact 2: Santa Claus, Indiana receives more than a half million letters and requests at Christmas time. Bonus fact 3: Over 20% of all the world’s popcorn is made in Indiana. Bonus fact 4: A popular nickname for Indiana is “Mother of Vice Presidents”, as 5 Indiana natives were elected vice president: Schuyler Colfax, Thomas A Hendricks, Charles W Fairbanks, Thomas Marshall, and Dan Quayle. Bonus fact 5: It is illegal for Indiana liquor stores to sell a cold soft drink or water. Our affordable plans have helped 100,000’s of Americans during one of life’s most challenging moments. We are proud to serve in Indiana and to offer our families options to pre arrange with us. Indiana residents can now make arrangements from the privacy of their home. Our simple 4 step process makes it easy to plan ahead. If at any point you have questions or would like to speak with one of our licensed funeral directors, just call our local office. We are here to help.